If you’ve had your ear to the fintech streets over the last few years, you’ve probably heard the term Bitcoin tossed around as cash’s digital counterpart. What you may not know is how Bitcoin’s emergence in 2009 has spawned a race across the globe to be part of the emerging trend. What exactly is Bitcoin? Will it replace cash? What does it mean for your small business? Here’s a quick rundown to get you up to speed. 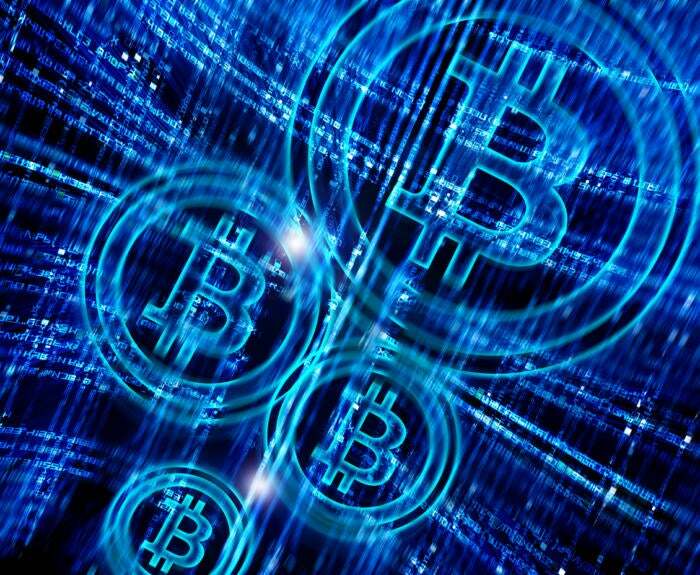 Bitcoin is a type of cryptocurrency, or a digital currency that uses encryption techniques to create units and secure the transaction. What’s unique about this invention is it decentralizes currency away from traditional banks, meaning people can complete financial transactions without any bank involvement or regulation. Bitcoin is the first form of cryptocurrency invented, and is still by far the largest within the market. 1. Someone requests a transaction. 3. The network initiates a validation process to verify both users and the transaction amount. 4. Once the transaction is validated, the cryptocurrency is created in the amount that was agreed upon in the validation process. If the amounts or the network credentials don’t add up, the transaction request is denied. The cryptocurrency has no physical form and only exists within the network. Value is only assigned once the agreed terms are validated. Holders can then withdraw the value from a cryptocurrency ATM in exchange for the currency they’d like to use. The legality of cryptocurrency varies by country. Some have explicitly allowed it for trade, and others have totally banned it. For us, the United States Internal Revenue Service (IRS) ruled that bitcoin will be treated as property for tax purposes as opposed to currency. So, it’s legal to own and use for trade internationally, however it will be subject to capital gains tax. Are US shoppers using it? Sure. Knowledge about Bitcoin has increased so significantly since 2014 that there are now 554 Bitcoin ATMs in the U.S. These are stations that Bitcoin owners can use to exchange for U.S. currency. While Bitcoin is gaining steam in the US and across the globe, it will likely be a few years before this impacts the small business sector. Since the IRS hasn’t identified cryptocurrency as a legal tender, it likely won’t surface as a mainstream payment option for another decade or so. However, cryptocurrency has the legs to gain popularity within contract-based subsectors. If adopted at full-scale, organizations like banks and insurance companies could be replaced. Access, validation and other major functions can be performed by the technology itself, so bank and insurance underwriting would no longer be a limitation for people who are typically denied credit. Rules, contracts and processes can be programmed within the peer-to-peer network and therefore transformed into automated processes. Stay informed about the trend. This has the potential to vastly change the financial industry, but it will take more time and validation to become mainstream. Don’t invest in cryptocurrency acceptance just yet, but don’t be surprised if you have more options to do so in the future. Visit Sage Payment Solutions’ site to learn more.